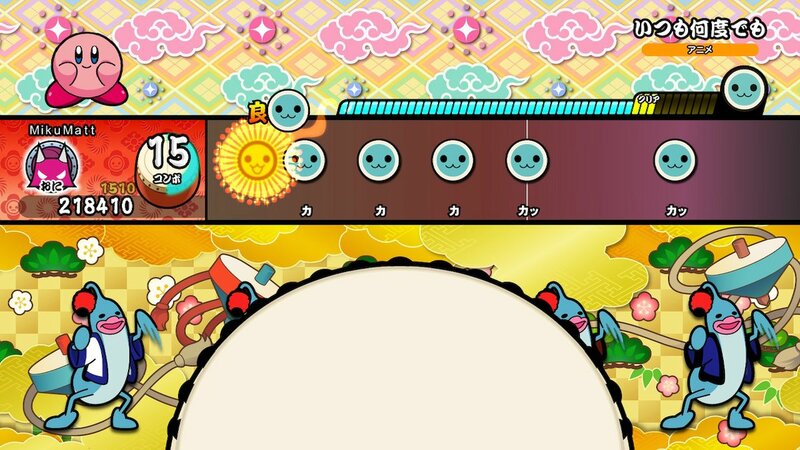 On the happiness scale, there aren't many things that can out-happy Taiko no Tatsujin. The adorable arcade drumming rhythm experience, with its psychedelic use of colour and sheer energy, has become an institution in Japanese arcades, and a beloved example of the rhythm game genre for anyone who's ever picked up its drum sticks. The series has had a patchy relationship with the west, either because western people don't know how to have fun (and looking at the popular games out these parts there's something to that), or for more practical reasons, like music licensing in Japan's notoriously strict music industry. That's why region free is such a good thing. Taiko no Tatsujin is on my Nintendo Switch right now, and I am so very happy. The amazing thing about Taiko no Tatsujin is that it is ridiculously simple, even by rhythm game standards. There are two "notes" - either you "hit" the body of the drum, or you tap its edge. Sometimes you'll need to hit the drum with both sticks, and other times a single stick will suffice. 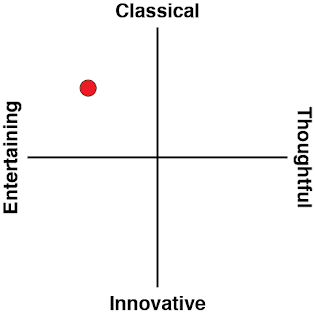 And that's about all there is to any game in the consistent and mercifully predictable Taiko franchise. It's not easy - just try and keep up with the tracks on the highest difficulties - but part of the great charm about Taiko is how completely unpretentious it all is, and how little the franchise has changed over the years. It's good, clean, comfortable fun. That accessibility also makes it the perfect rhythm game to play with people who aren't that familiar with the genre, and that's actually something that we've been lacking on the Nintendo Switch. There are no shortage of quality rhythm titles on the console - from Voez to Deemo, Superbeat Xonic to more esoteric stuff like Thumper and Lumines - but all of those are either exclusively single player, or remarkably dull as a multiplayer experience. 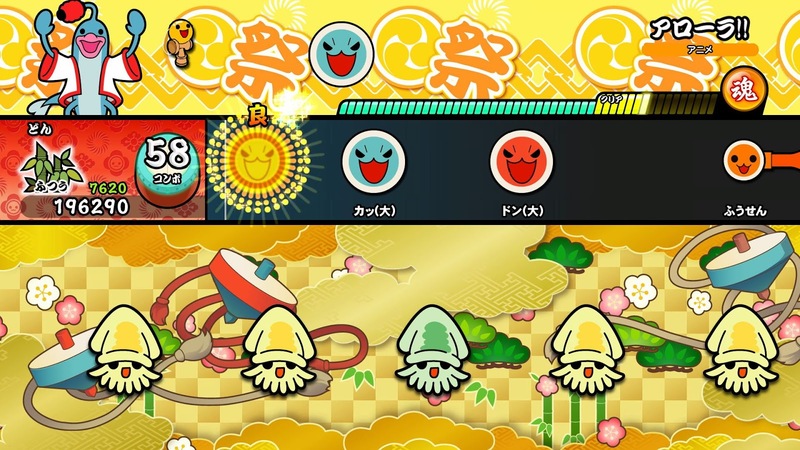 Taiko no Tatsujin absolutely relishes in the simple fact that it's fun to play rhythm games with other people, and fully supports and encourages multiplayer action. The other part of the appeal is how ridiculously colourful and animated everything is. When you're playing Taiko you're only going to be paying attention to the beatmap, but if you sit back and watch someone else play, you quickly realise just how much effort goes into giving these games pure, unfiltered energy. It's almost overwhelming, it's all very strange in a way that only Japanese games can be, and it's utterly delightful. 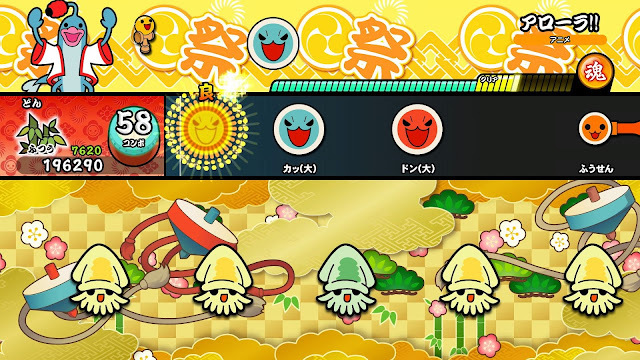 As much as I love Hatsune Miku and her games - and you all know I really, really love Hatsune Miku - it's the Taiko no Tatsujin series that has the edge when it comes to sheer pristine happiness. Not interested in the standard rhythm game? That's fine. There will be plenty of people out here in the west that find the music track list - almost exclusively JPop, Anime or Japanese game music - to be too alien to their ears. You might well love the music, but your mates might not. That's where the minigames come in. Those minigames use the same music, but they fade into the background a bit because everyone will be too focused on the ridiculously charming activities that is involved with each minigame. Whether you're chowing down on udon in time to the music, or hitting baseballs for home runs, there's at least a dozen of these games (probably more, I haven't actually counted), and every single one of them manages to be challenging enough to encourage a competitive spirit, while light hearted enough to be about laughs rather than heated rivalry. In fact, those minigames reminded me most of Nintendo's own Rhythm Heaven franchise, minus the soul-crushing precision that that particular series demands. 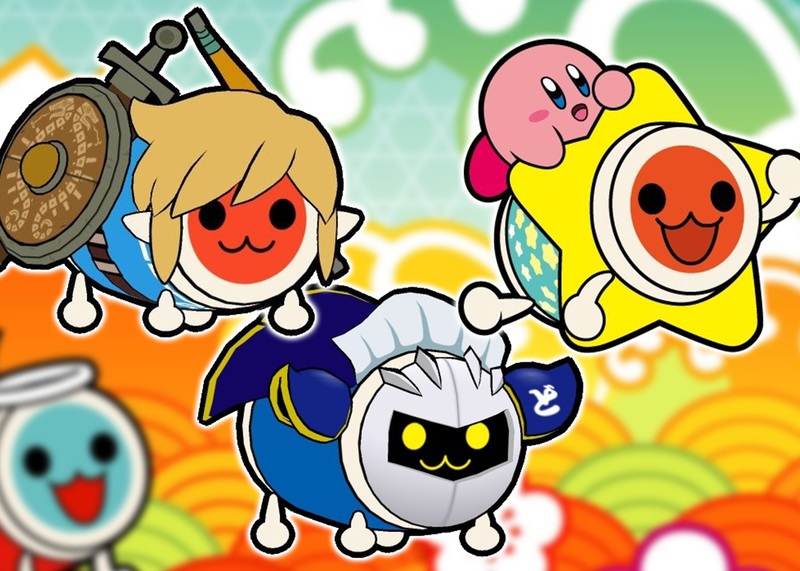 They're a new addition to the Switch edition of Taiko no Tatsujin (or at least, it's the first time I've come across them in a Taiko game that I've played), but they are genuinely the perfect addition to the base rhythm game, and will ensure that it remains on high rotation at parties and the like for a long time to come. I genuinely can't see anyone not having a great time with these. The tracklist is of a very high quality, too, filled with recognisable music that fans of Japanese popular culture will appreciate. As much as I like titles like the other rhythm games on the Switch, their tracklists are always B-tier stuff. It's pleasant enough, don't get me wrong, but at the same time, it's nice to be able to play along to music you already know and love, rather than have to pick through the song select menu to find your favourites from a group of artists you don't recognise. Even the Miku games are introductions to Miku music than the other way around for most people. There's a certain "premium" feel to a game that uses "premium", recognisable music, and as a nice touch, Nintendo has lent Bandai Namco a handful of tracks from its own library to give players yet more catchy, pleasant music. You loved the Splatoon music, now enjoy it while also playing a game that's enjoyable (I'm going to get a lot of hate mail for that comment, aren't I?). 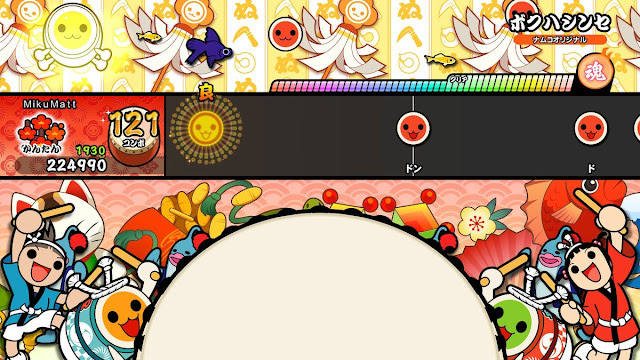 I also love how many ways you can play Taiko no Tatsujin. Standard buttons and touch screen controls are both there, but you can also make good use of the advanced motion tracking in the JoyCon controllers to emulate the drum sticks of the arcade machine. If you want to go all the way, you can even purchase dedicated drum accessories, which really brings the arcade experience into your home. All these options are perfectly playable and enjoyable, and it only further enhances the accessibility of the game so the maximum number of people can enjoy it. The only issue that I have with Taiko no Tatsujin is that you need to unlock new music tracks by playing. I can't stand that approach to content in rhythm games. Just let people play their favourite tracks from the outset. That's it, though. 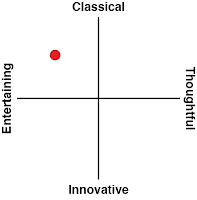 That's the one and only complaint I have with this ridiculously enjoyable, blindingly happy rhythm game. There's no reason to wait for the "official" English release, which seems like it's actually going to happen, but is largely unnecessary. Just do yourself a favourite and grab the game now. It's the perfect Switch experience.